Get fit anytime, anywhere with the Drive.Fitness app. Working out can be daunting and stressful, especially without a plan.  At Drive.Fitness, we solve this. Drive.Fitness in an online personal training app that is free to members of Med-Sense Guaranteed Association. Drive.Fitness has partnered with a team of experienced trainers to provide workout routines designed to help you lose weight, gain strength or just stay fit. Within the app, you are able to select any of pre-built workout routines or simply create your own custom routines. You can schedule your workouts for future days and receive email reminders that help keep you motivated and accountable. You can download the Drive.Fitness app on your mobile phone and use it at work, at the gym or at home. It will help guide you through each workout and if you’re ever unsure how to perform any particular exercise, you’re able to view an on-demand instructional video. 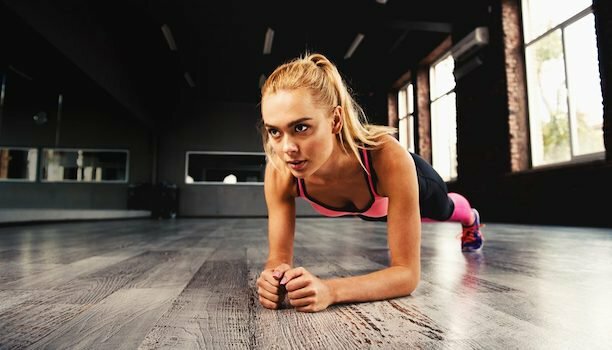 As you conquer each exercise, you’re able to track what you did – how long you worked out, how many reps you did, how much weight you lifted, etc. You’re even able to track results such as weight, waist size and BMI. Over time, you’re able view your progress which is a huge motivator to keep going!